Republican Central Committee of Harford County – 2012 to Present. Chairman 2013 – 2014, 2015-2016, 2016-2017, 2017-2018. I have served on various legislative oversight committees for professional and trade organizations, both at the State and Federal level for over 25 years. 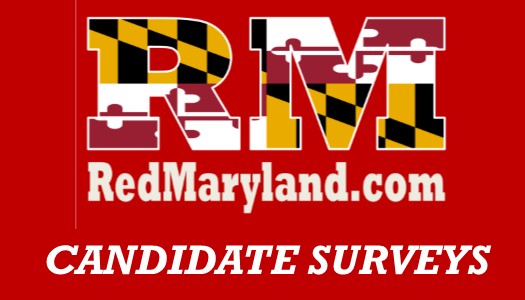 To assist the Republican Party in Harford County with a stable, active and well financed central committee. Historical figure would be Thomas Jefferson. Recent figure would be Ronald Reagan. Both were free thinkers and accomplished so many things. Ayan Rand’s Atlas Shrugged. Even today the novel is a cautionary tale and so much of it rings true despite the dating of the novels release. To be the spokesman for the party, provide support to Republican candidates, interact with the community via attendance at events and voter registration. Strong coordination with the State GOP. We can also do more with candidate training. Democrats registered as Republican who treat party affiliation as an election tactic based on district voter registration statistics and not based on belief or platform. Establishing our identity based on party platform, reaching out to non-affiliated voters to see if we can convert them to the party and lastly, working to erode the super-majority held by the Democrats in the State Legislature. Pro life. That said, not sure assisted suicide is a central committee issue. Taxes must be help to the lowest level to provide the most basic essential services of government (national defense, roads, infrastructure, law enforcement, etc.). Spending must always be an issue that is strenuously held to the lowest possible level. The second amendment is a right provided within the constitution and must be defended. It is not about hunting…. If the second amendment is outdated because the founders could not foresee modern weapons, then the first amendment is outdated because they sure as heck could not have foreseen the internet and social media…. you get the picture.